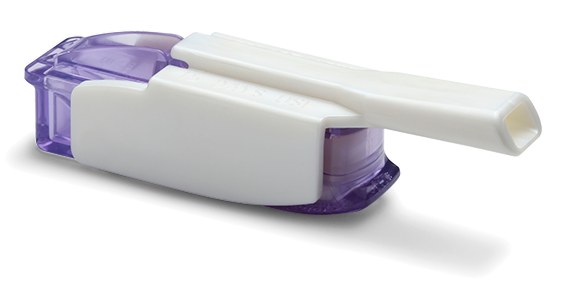 Afrezza is an FDA-approved medication for adults with type 1 or type 2 diabetes. Talk to your healthcare provider to see if Afrezza is right for you. 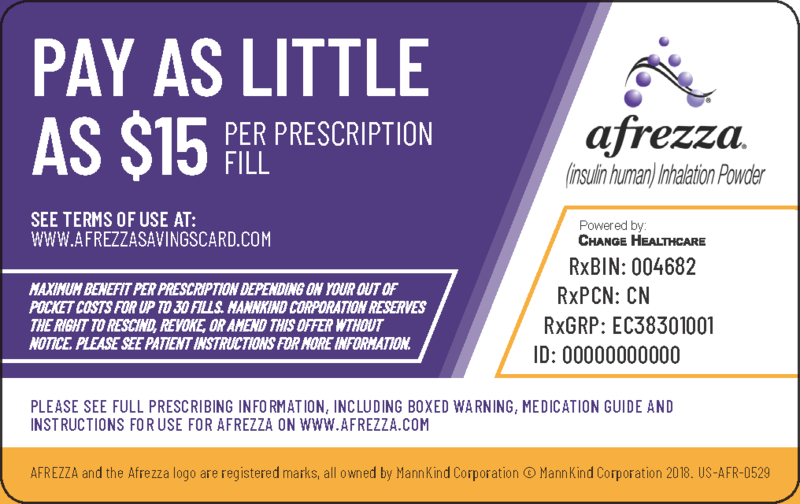 MannKind is committed to helping people gain access to Afrezza. MannKind Cares supports people with diabetes and caregivers who have questions about Afrezza. We understand the challenges people may face with the healthcare system and are here to help. MannKind Cares provides support services to help answer your questions related to insurance coverage, prescription cost, and product use. If your doctor recommends Afrezza for you, ask your physician about enrolling you in MannKind Cares. We will work with your insurance provider to check whether Afrezza is covered and provide support to get your prescription filled. Please contact us if you have questions. Use these questions to start the conversation with your healthcare provider. How is Afrezza different from other fast-acting insulin? What is an FEV1 Test? The FEV1 test is a simple breathing test your healthcare provider can perform in their office. This test is done before starting Afrezza to establish a baseline reading. After the baseline has been established, your healthcare provider may test at 6 months and once a year after that. The test measures how an individual inhales or exhales volumes of air and is used to monitor your lung function over time. Looking for a doctor who has experience prescribing Afrezza? Do you have questions about Afrezza and managing your diabetes? Search for a doctor by zip code or state using the drop-down menu below. * Our list is constantly growing, so check back regularly for updates. *This physician locator tool is provided by MannKind Corp. (“MannKind”) solely to assist you in locating a physician who has experience with Afrezza. This physician locator tool should not be construed in any way as an endorsement or recommendation by MannKind as to the qualifications of any physicians listed in this tool or the quality of medical care they can provide. MannKind makes no guarantees that using a physician from this list will result in your desired outcome. It is wholly and solely your responsibility to assess the qualifications of a potential physician. MannKind recommends that you meet and discuss the benefits and risks of treatments and the procedure to administer the product with the potential physician. MannKind and its affiliates hereby disclaim any and all liability arising from your use of and/or reliance on the information contained in this physician locator tool. **Offer is not valid for patients enrolled in any state or federally funded programs, including, but not limited to, Medicare or Medicaid, Medigap, VA, DOD or TRICARE. Offer is not valid where prohibited by law. MannKind Corporation reserves the right to rescind, revoke or amend this offer without notice. Maximum benefits may vary and benefit limitations apply. Only patients who reside in the United States, Puerto Rico, Guam or the U.S. Virgin Islands can participate in this program. For complete terms, conditions and eligibility requirements, please see www.afrezzasavingscard.com.